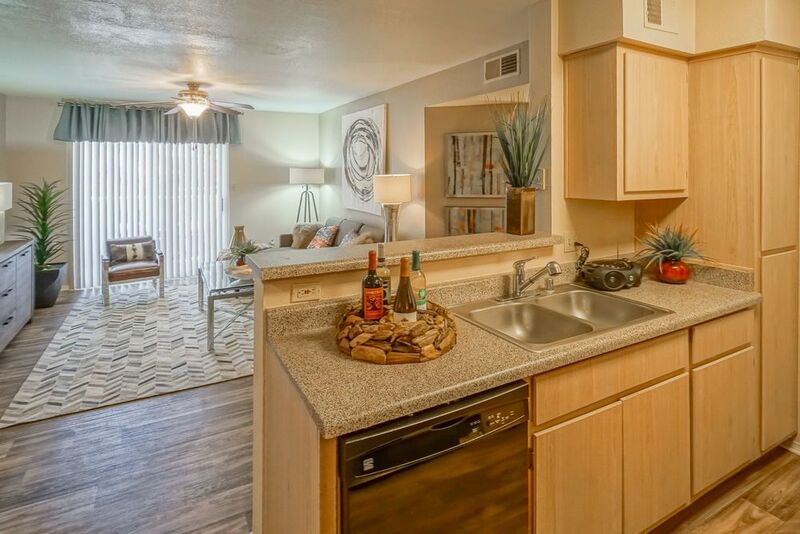 Experience the fusion of Southwestern style, desert beauty and contemporary living when you lease an apartment at the Presidio at Northeast Heights in vibrant Albuquerque, NM. This pet-friendly community cultivates a relaxed atmosphere, creating a serene respite from the bustling city. Set against the backdrop of the Sandia Mountains, Presidio delivers a living experience unlike any other with luxurious amenities and modern features. From the distinctive red tile roof and stylish stucco exterior to the large windows and spacious kitchens, these residences were designed to feel like home. 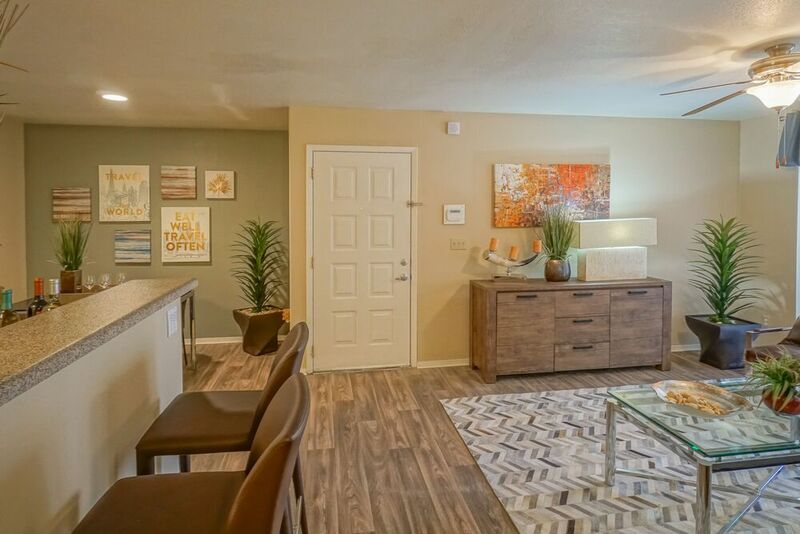 Presidio at Northeast Heights offers one, two and three bedrooms floor plans in a variety of sizes and layouts. No matter which model you select, you’ll find spacious rooms filled with natural light and designer finishes. 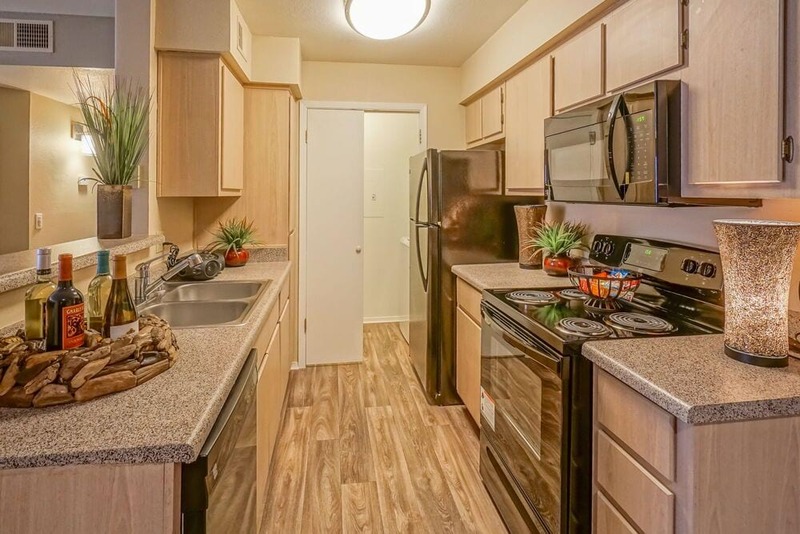 With an in-home washer and dryer set provided in every apartment, you’ll fall in love with the comfort and convenience you find at Presidio. Each cable-ready apartment comes with premium features, including wood-style flooring, designer-inspired colors and a full suite of appliances. Exploring the meticulously landscaped grounds, you’ll discover resort-style amenities such as the sparkling swimming pool with posh seating and a covered cabana. The grilling and picnic area makes an ideal spot to enjoy the outdoors and entertain guests. Albuquerque is known for its majestic scenery, but New Mexico’s largest city is also home to thriving businesses and exciting destinations. Situated a short drive from I-25 and I-40, The convenient location at Presidio at Northeast Heights gives you quick access to downtown and places you within walking distance of the expansive greenspaces at Academy Hills Park.